At 7:30PM on Wednesday evening, Sutton Police announced they responded to a single vehicle crash on Central Turnpike just over the Oxford line. 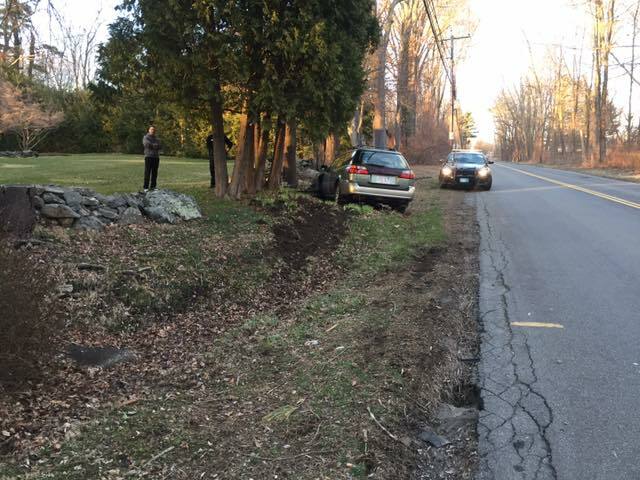 Police say the driver of the Subaru reportedly fell asleep at the wheel, causing the car to cross over the center line and hit a utility pole and a stone wall. No other vehicles were involved in the crash and there were no injuries reported. More photos from the scene are below.